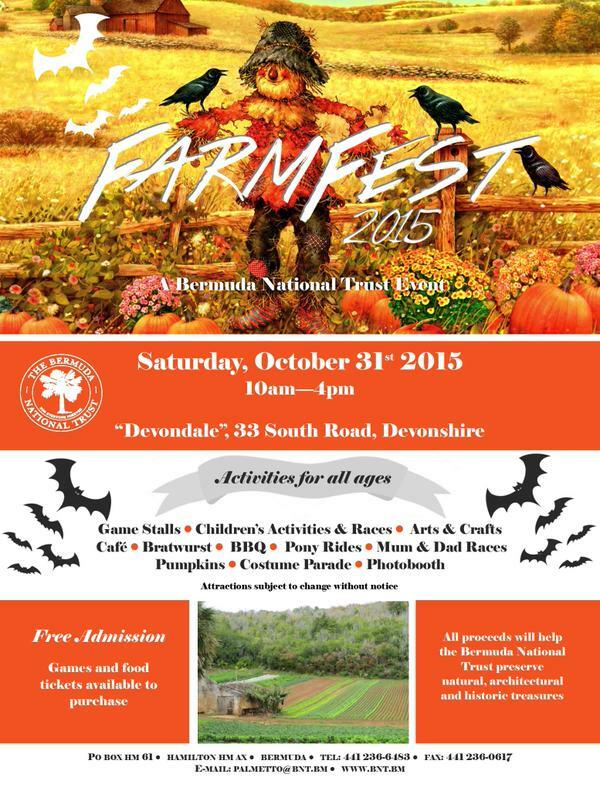 The Bermuda National Trust is getting set to present FarmFest 2015 on Saturday, October 31, with a number of actvities for all ages planned from 10.00am through 4.00pm at 33 South Road in Devonshire. Activities will include game stalls, children’s activities and races, arts and crafts, pony rides, mum and dad races, pumpkins, a costume parade, and a photo booth, along with a cafe. What a great idea and think of the growing benefits to Bermuda and her people when more National Trust land is used for community gardens and local produce. Well done!